34x50cm There are 7 products. Ceramic Wall Tiles Austral Mix 30x55cm. STD Quality. Matt Finish. Price per m². 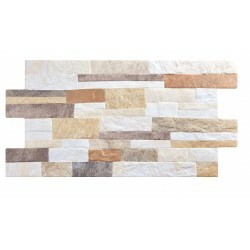 Ceramic Wall Tiles Austral Tierra 30x55cm. STD Quality. Matt Finish. Price per m². Ceramic Wall Tiles Austral White 30x55cm. STD Quality. Matt Finish. Price per m². Porcelain Wall Tiles CaravistaBlanco 39x58,5cm. STD Quality. Matt Finish. Price per m². Porcelain Wall Tiles Caravista Natural 39x58,5cm. STD Quality. Matt Finish. Price per m². Ceramic wall/floor Tiles Tracia Gris 34x50cm. STD Quality. Matt Finish. Price per m². Ceramic wall/floor Tiles Tracia Mix 34x50cm. STD Quality. Matt Finish. Price per m².